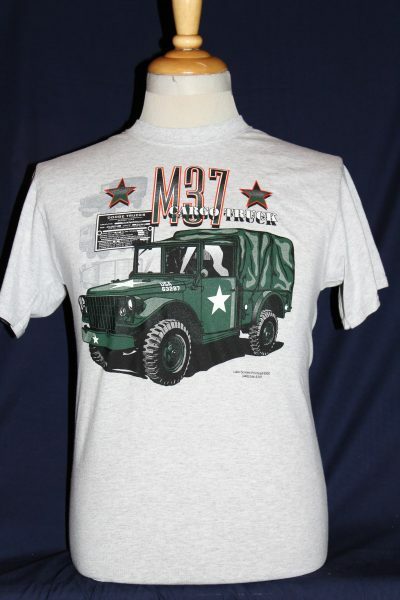 The M37 Dodge Cargo Truck T-shirt is a single sided print in grey. 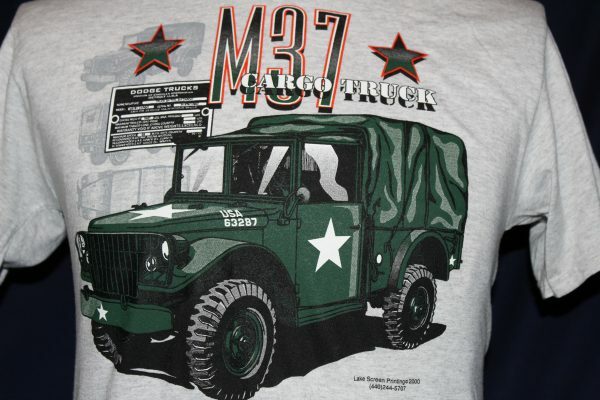 Front Design Only: Left front view of a M37 in military green with text superimposed over faded photographs of the same vehicle. A Dodge 3/4 ton 4x4 vehicle manufactured in Detroit.